Spiralise your way to Five A Day with the Morphy Richards 432020 Electric Spiralizer. Prepare fresh, healthy meals with a fun and easy twist. Introducing the Electric Spiraliser Express from Morphy Richards, the fun and easy way to create nutritious meals for the family. 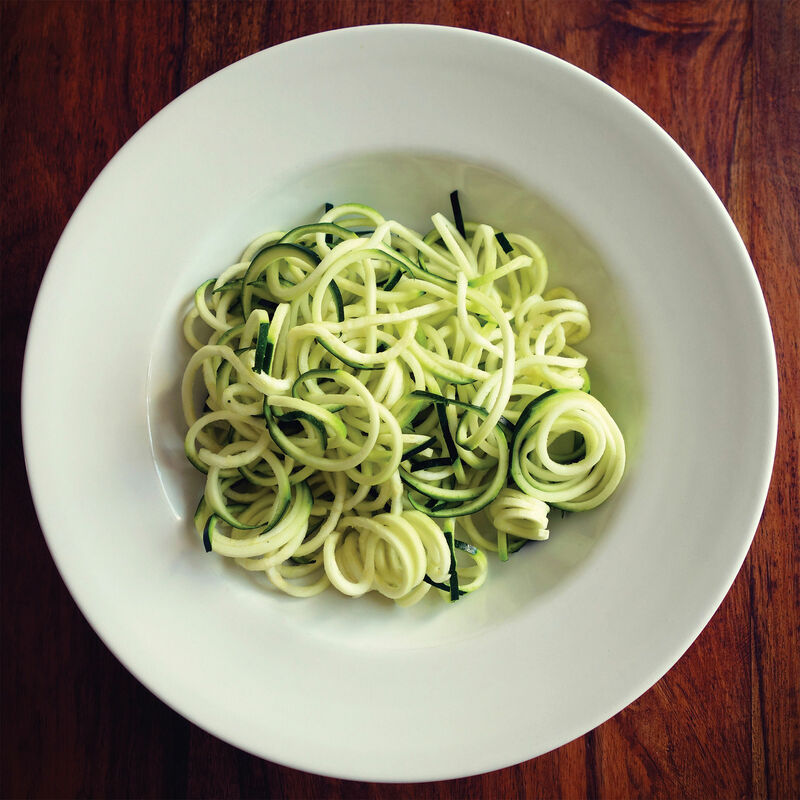 Spiralising can help you achieve a low carb lifestyle by substituting pasta for Spirals of courgette or sweet potato. It is also great for introducing a healthier diet, as this will ensure you consume your five-a-day the quick and easy way. It has never been so easy to join the Sprialising trend. You can either enjoy as a raw salad, add to a stir fry, or incorporate within a dish. Spiraliser Express is great for health-conscious chefs, as you can fill your meals with nutrient rich vegetables. You can enjoy spiralised vegetables and fruit either raw or cooked within a dish of your choice. Create a simple Courgetti bolognese by swapping pasta for courgette spaghetti, using the dedicated spaghetti blade. Simply choose your vegetable or fruit, ensuring it will fit down the feeder shoot. Guide the vegetable down the feeder chute using the plunger and watch the perfect spirals collect in the dedicated container. 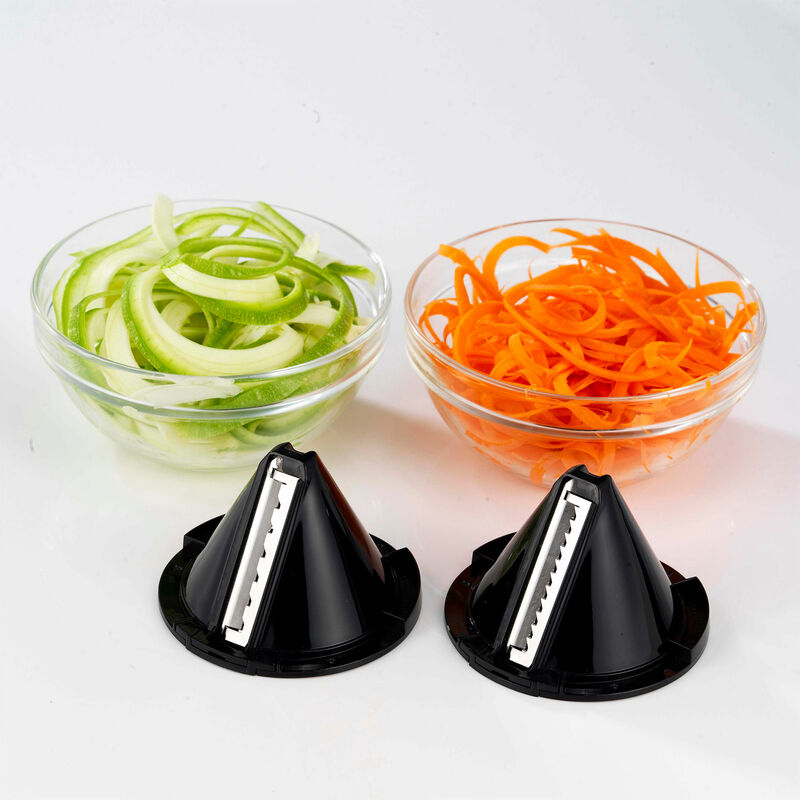 The Spiraliser Express comes with two interchangeable blades for producing different sized spirals. One blade for creating Spaghetti and the other for ribbons, great for Courgetti and Sweet Potato Ribbons. 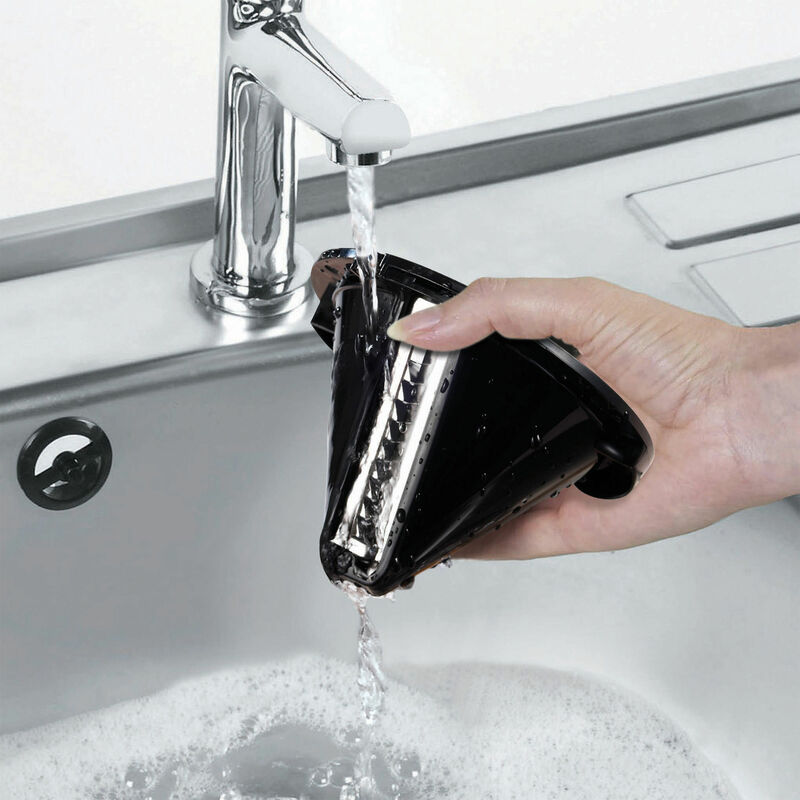 Easy to clean, simply rinse under running water. For easy storage the cutter blades can be fitted inside each other and placed in the Spiraliser beaker.